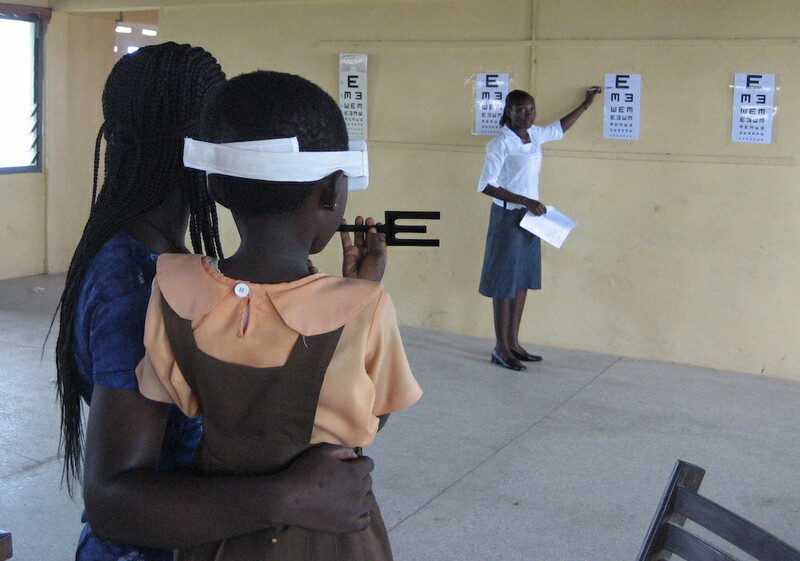 Eyecare in Ghana is continually evolving each year as new students graduate in the field of optometry from either of the Optometry Schools at the universities in Ghana. However, there is still an enormous shortage of eyecare specialists in Ghana and there are still large pockets of the population for whom eyecare is out of reach. While The Optical Foundation (TOF) has always taken an active approach in running projects, it is our philosophy that a community is best served by helping them help themselves. Therefore TOF’s 2019 mission is focussed on supporting Ghanaian run screening initiatives either through financial funding or non-monetary provisions. We will concentrate mainly on projects aimed at providing full eye exams, especially for children, in regions where eyecare is limited. However these projects must offer optometry students at the universities in Ghana hands-on practical experience, by allowing them to participate in the comprehensive eye examinations under the supervision of a qualified optometrist. If you are running these types of projects that meet the prerequisites as outlined on the Apply for Funding page, you are encouraged to download and submit an application form. TOF’s Advisory Committee will assess each application prior to any commitment being made. For detailed information, guidelines and conditions, please refer to the Apply for Funding page.